Banbury beat Radway by a single run in Tuesday’s Banbury Indoor Cricket League fixture. Andy Stevens 37no and James Risbridger 26no helped Banbury to 98-4 in the division two fixture. Risbridger took 3-32 as Radway reached 97-4 with Sam Pick 37no top scoring. Sandford St Martin A also beat Azad by a single run. John Springer 32no helped Sandford A to 81-4 before Charlie Harper took 2-25 and Scott Reynolds 1-16 to dismiss Azad for 80 in which Saghir Maz Iqbal 19 led the way. Broughton & North Newington beat Hinton in the Hedges by three wickets. Hinton posted 95-5 with Matt Lemon 26 and Richard Wills 21 top scoring while David Eaton took 5-38. Sean Gardner took 1-23 but Jamie Abbots 27no and Ben Cross 15 led Newington to victory. Banbury Veterans beat Charlbury by 11 runs. Mike Thomas 33 and Neil Megson 33 helped Veterans to 125-4 while Barry Nutt took 1-32. 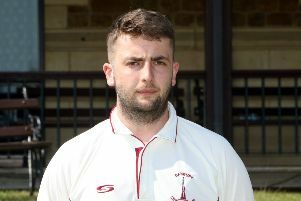 Andy Proctor took 2-33 as Charlbury reached 114-4 with Rob Knight 42no and Tom Nash 20 top scoring.